Quite interesting & different ‘Himalayan’ cuisine with some ‘too good’ & some ‘just good’ dishes. The signboard with most letters missing. The Himalayan Range is so vast that the word ‘Himalayan cuisine’ covers a plethora of cuisines of places situated on the Himalayas. 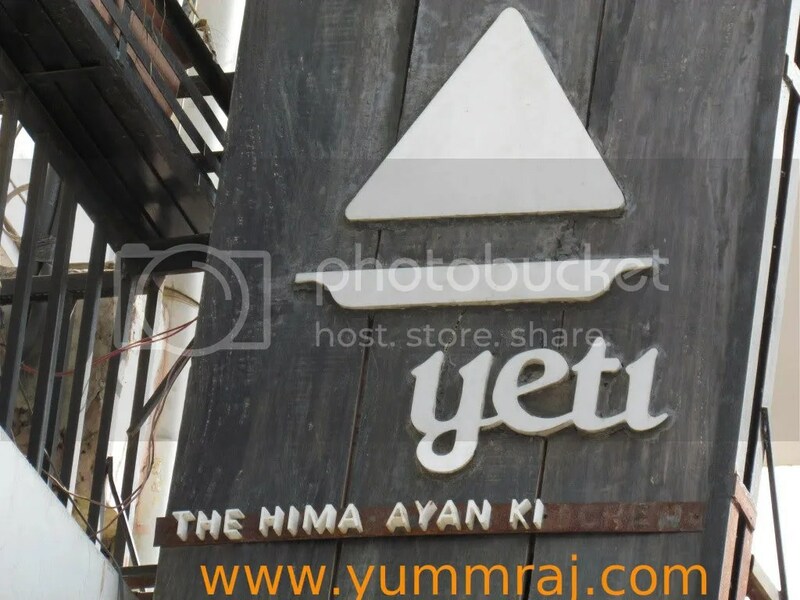 Yeti serves Nepali, Bhutanese, Tibetan& North eastern Cuisine. Pretty interesting variety I wud say, for someone in Delhi – almost no one has thought about it before. We heard about this place & decided to try Nepali cuisine. The menu card had precisely 99 items across the cuisines mentioned above. They include so far unknown (in Delhi) dishes & also the already popular momos, noodles & thukpas. So to focus on one cuisine at a time was the best way to do justice to the lunch. As we approached the restaurant, we saw the signboard & were surprised to see missing letters in it – in a new restaurant???? 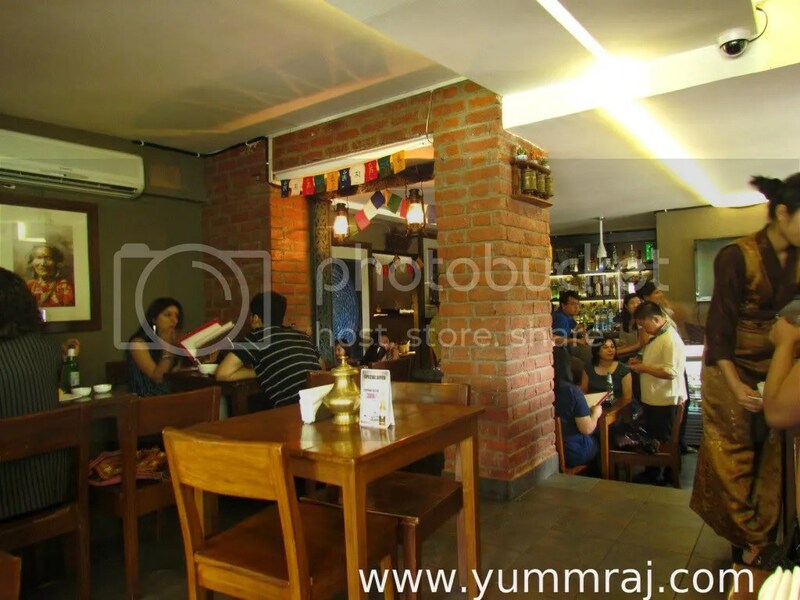 The restaurant is situated in the first floor of a building almost near the gate of the Historical ‘Hauz Khas’ lake. 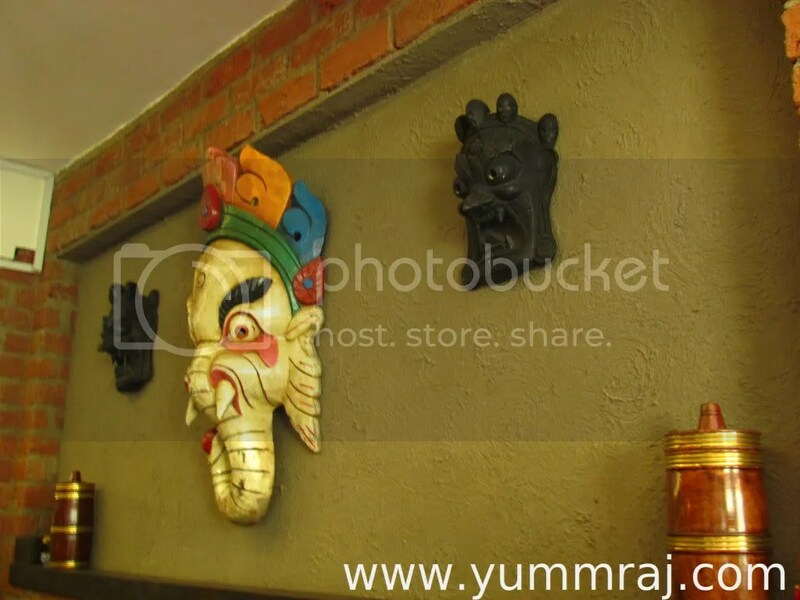 The interiors are nice with Himalayan motifs and masks all over. The music being played here is also folk tunes from different regions – played a bit louder than ‘enjoyable’. Space being a constraint, the tables are a bit close to each other. In the peak of lunch hour, the chatter from all tables & the music make sure that decibel levels are quite high – makes u talk louder than usual. Like many other theme restaurants, they can sell the music CDs that they play / small motifs masks etc as most of these r unusual to find in Delhi. The serving staff are quite well trained & warm. The one serving us always had a smile on his face. His understanding of the items on the menu seemed to be good & he cud answer all our queries regarding food on the menu. Serving time might be an issue for ‘non thali’ items on the menu in peak hours. We almost waited for 30 minutes for a main course dish. However what came post that was a marvel as it was freshly cooked from scratch. The coordination however seemed to be an issue. We cud see people waiting inspite of having empty seats inside. Make sure u book a table before u land up here are it is already pretty popular.Waiting without booking can b quite a harrowing experience. The starter thalis are humungous & in fact the quantity is too much to the point of being silly. Two people with average appetite will be almost full after just having a veg / nonveg starter platter. A good idea can be to have ‘half plate / Full plate’ or ‘bite size sampler / Big bite sampler’ etc. Not all items on the menu are ‘exotic’ or special. 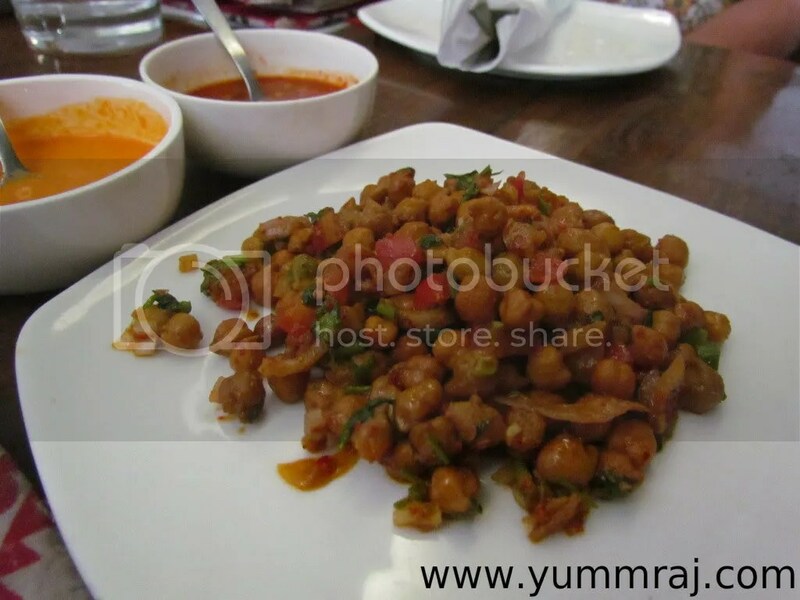 There are simple dishes like stir fried potato with sesame seeds or masala chana that taste good but r not the ‘oh my God, this is out of the world’ variety. Some others like chicken fry, goat lung fry, ‘wai wai’etc. are very good. Post we placed the orders, came a complimentary masala chana. It was accompanied by two sauces – an orange one which had red chillies & sesame & the other one had red chillies & herbs. ‘Super hot’ is the term for all three of these but if u r not averse to ‘hot’, u r likely to love this. The chana was not hard & not soft either – edible good, masaledar (spicy) & we cud not stop but kept getting back to it & eating more. The first dish ordered by us was veggie starter platter – Too much quantity for a starter –maybe 4 people can do justice to this. Infact it is so much quantity that u r not left with too much space post starter. 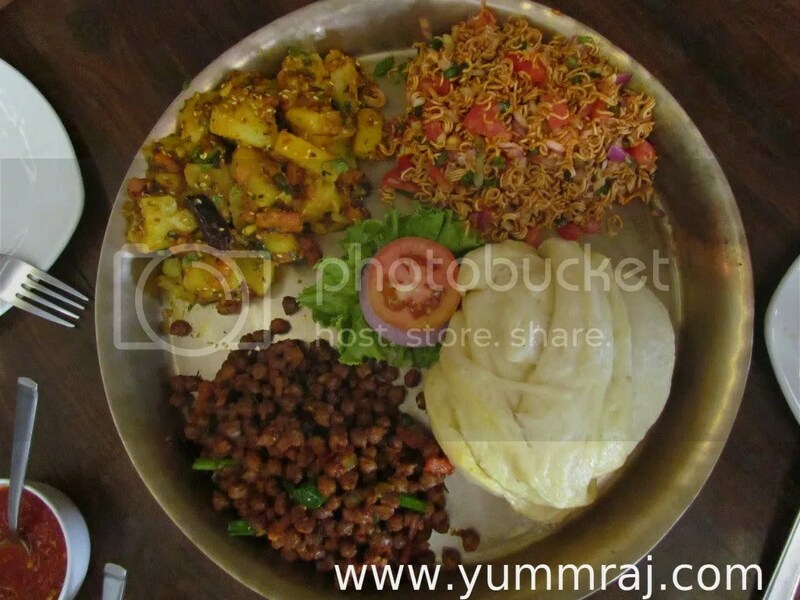 The platter had a potato based item called ‘aloo sadeko’, a chana item called ‘bhuteko chana’, an interesting dish made with wai wai called ‘wai wai sadeko’ & a Nepali bread called ‘tingmo’. 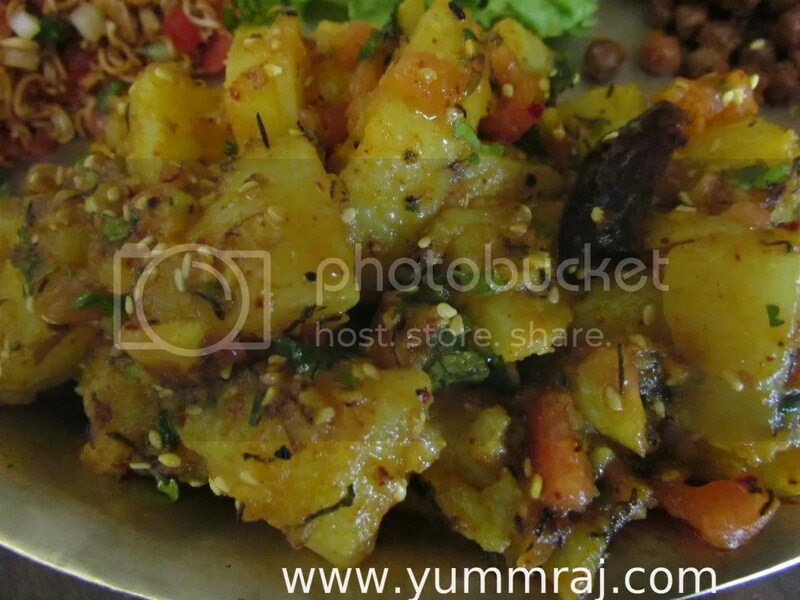 TheAloo Sadeko was sauteed potatoes in Nepali tangy spices , garnished with sesame. I wud not say this is the best vegetarian dish I have ever had but it will surely feature in the list of some of the best potato dishes I have had. It is not too different than some outstanding aloo curry at home but it is surely different than the Indian aloo versions. In the platter was an inhouse made Nepali bun called tingmo – Super duper soft, in layers & glossy on the upper – pretty good. However, it was not as flavorful as the Tibetan bun at Tibetan Kitchen, Gurgaon. 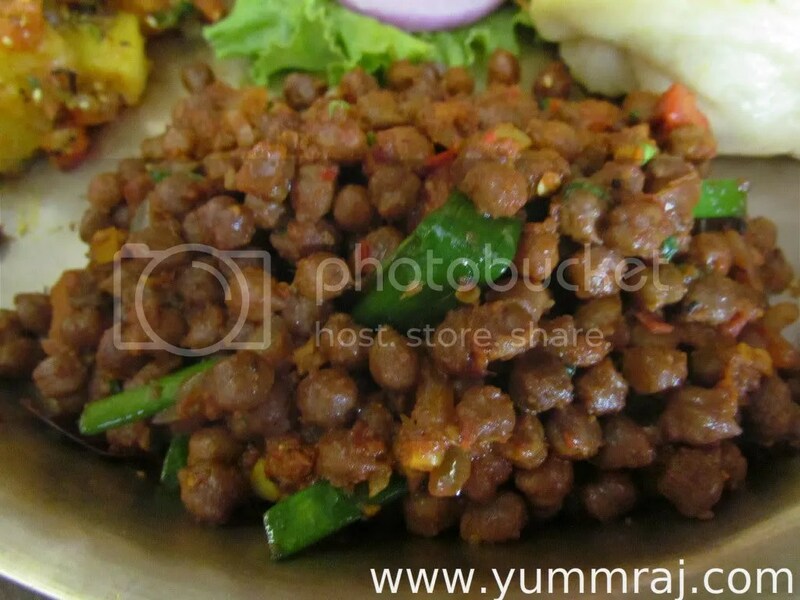 Bhuteko Chana – a part of the platter wasstir fried chana in nepali spices. I tasted it after I ate chicken. So I liked it but did not find it great. After a point I started sipping on my fresh lime soda for a while & just casually popped in the Bhuteko chana again – wow. It was actually good – The spices were interesting, different from what we are used to & the onion plant added a nice dimension to it. Liked it. 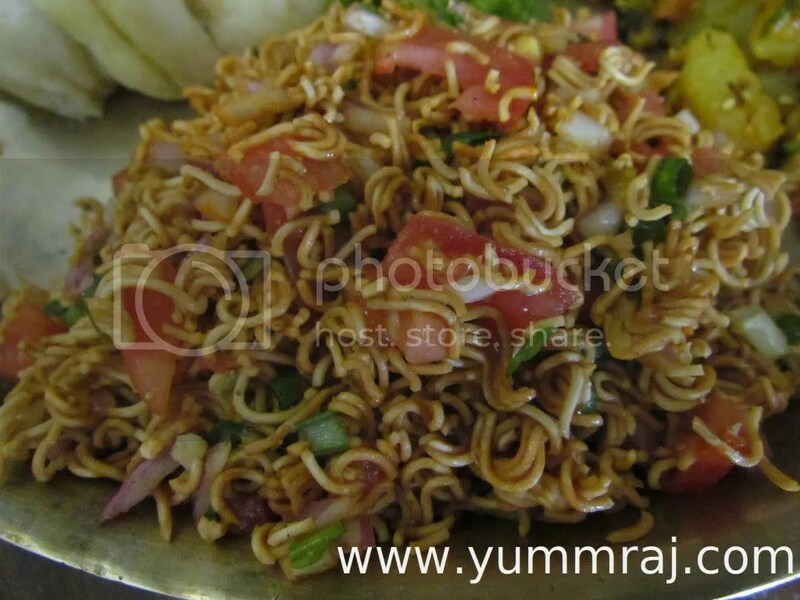 Wai Wai Sadeko was Dry ‘wai wai’ noodle tossed with onions, tomatoes, green chillies & a dash of lemon!!!!! Innovative – really so. It was like a sew puribut with a different taste & texture. Quite chatpata & interesting. I have surely had better tasting ‘sukha chaat’ but this one scores on novelty. 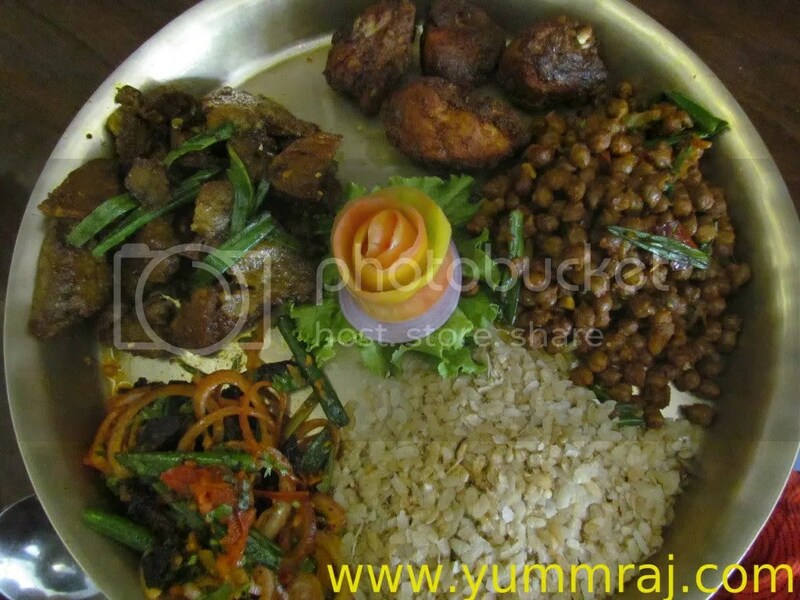 The Nonveg starter platter had dried buff meat called Sukuti sadeko, Goat lungs, chicken & roasted chiwda along with the same Bhuteko Chana that was there in Veg platter. 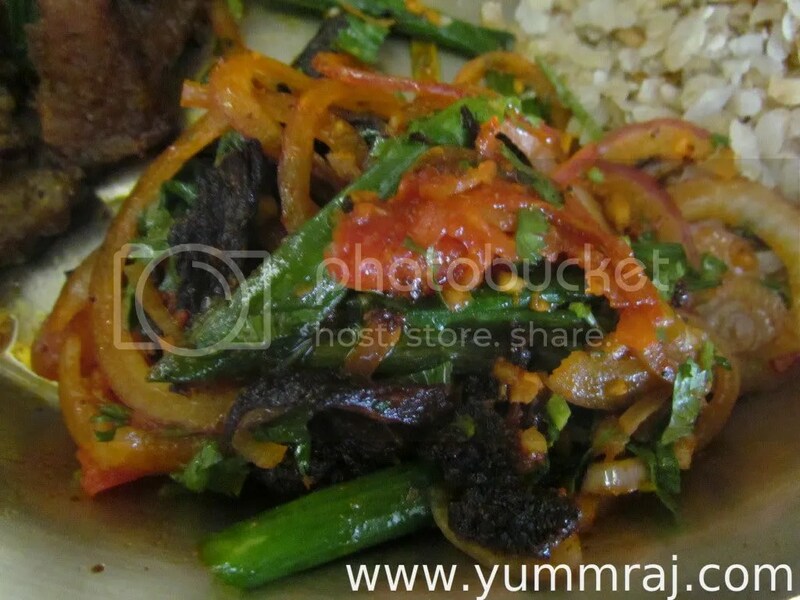 Sukuti sadeko, as I mentioned above, was Dried Buff meat sauteed with onion, garlic, tomatoes & spices. 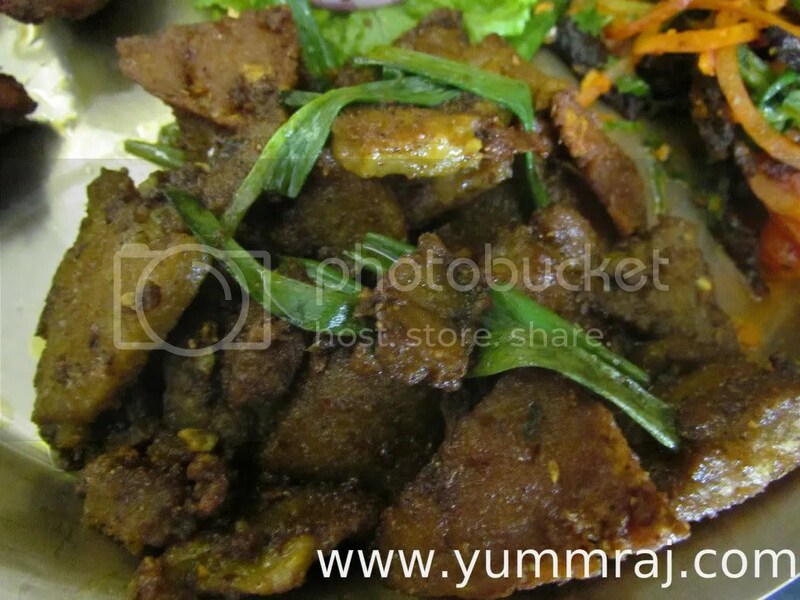 Since it is dry meat, u will have to keep chewing it for some time till the juices come out (like in sugarcane) …………. &its worth the chew. The tomatoes & onions were tasty as well due to the spices & the juices flowing out of the buff meat. Goat lungs stir fried with spices & spring onions. Very different, interesting, soft, spicy, flavorful&enjoyable in taste. The texture was different than anything meaty I have had. I can faintly match the texture with a certain part of fish head. Liked this a lot. 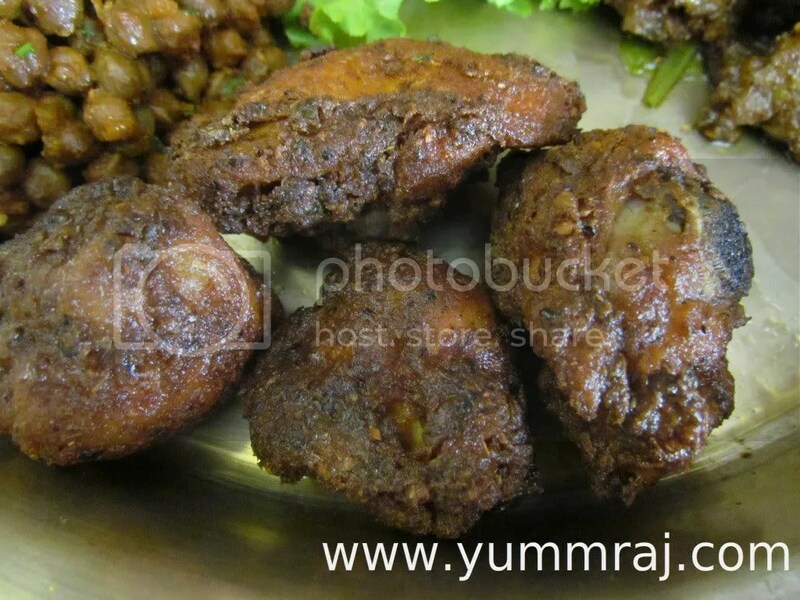 Spicy fried chicken – they r surely spicier, juicier & tastier than their rich American ‘Finger-licking good’ counterpart. I was truly impressed by this one. 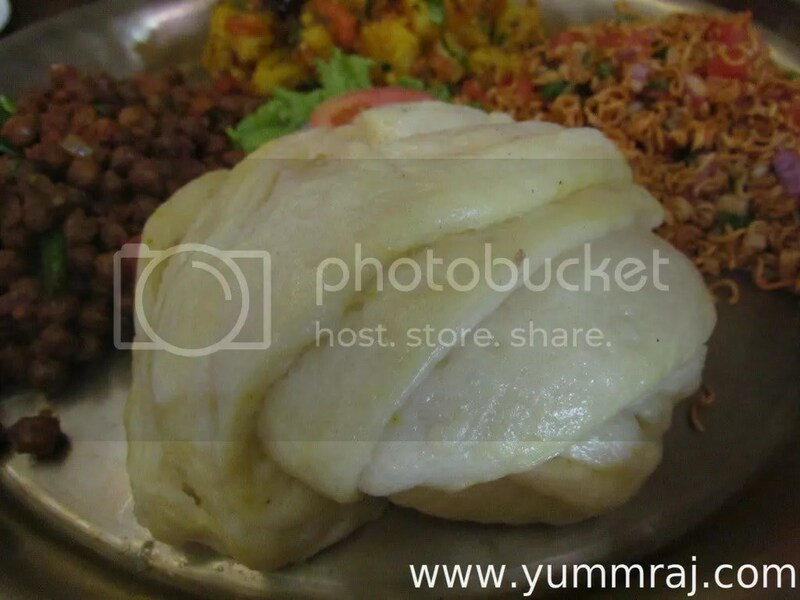 For main course we ordered Jadoh & Dohkhleh – a delicacy of the Khasi – Jaintias of Meghalaya. 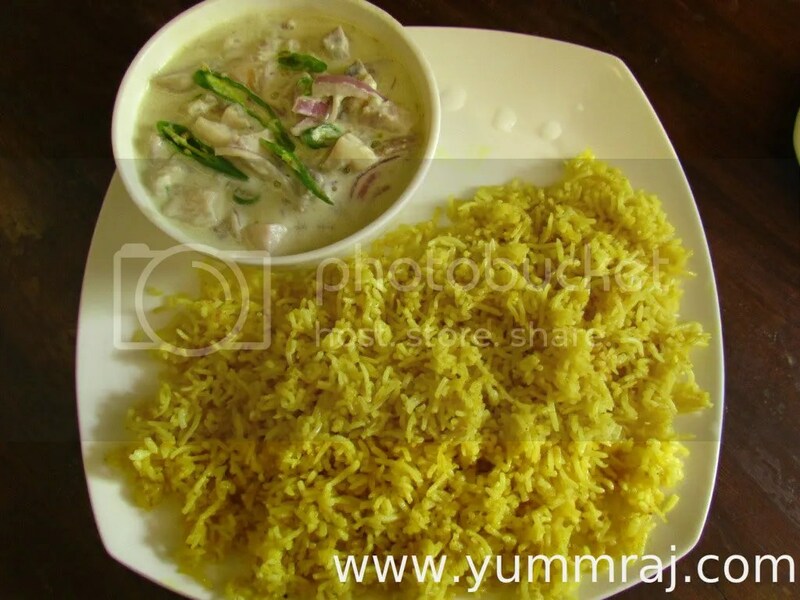 This interesting & super yumm dish is – rice cooked in meat stock with onions &spices. Loved the rice. It was awesome. Very few rice items other than Lucknowi / Kolkata Biryani impress me as much. Along with the rice is served a meat curry (we went for pork) that had boiled egg as its base!!!!! The taste was obviously so different that we cud not detect it but somewhere in my mind I was thinking that ‘this is familiar’. So we asked the serving guy & he told us the secret. That is when I remembered the taste of my favourite ‘Khao Suey’ from Burmese Kitchen in which shredded boiled egg is added to a curry. 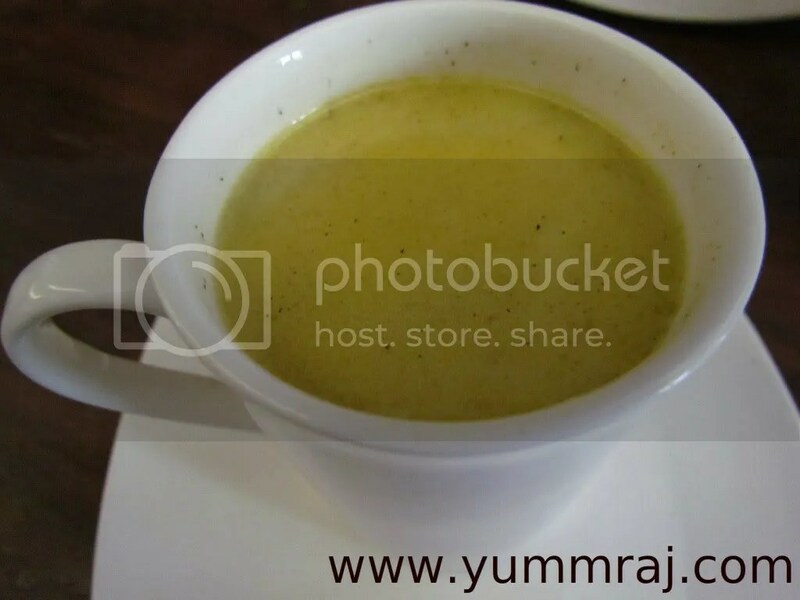 Ended the meal with Tibetan Butter Tea (Yak Butter) – It turned out to be Salty tea!!!! with yak butter. This tea is as similar to English tea as an apple is to a crab. Nonetheless, it tastes good – more like a milky soup with a unique (Yak butter) flavor. 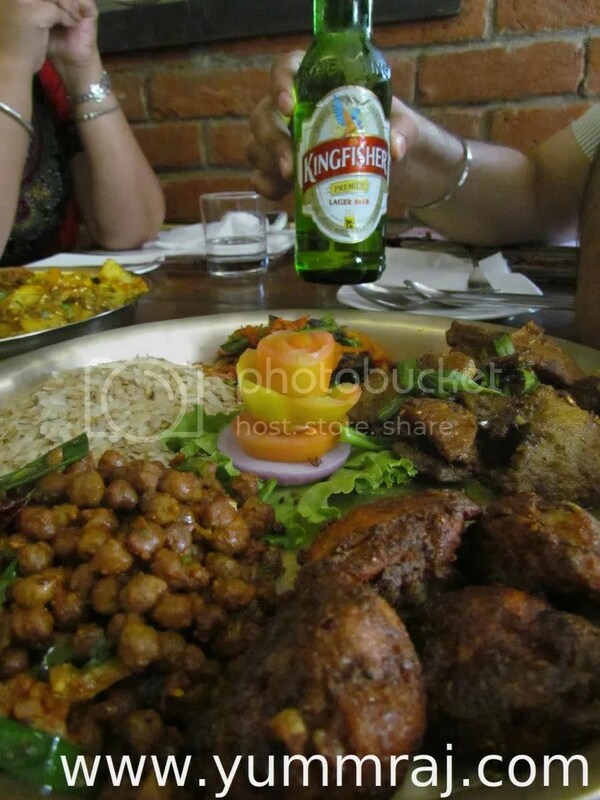 We washed down all this with fresh lime soda that was surely refreshing , had more sweet than lime & very little soda. Inspite of it being weird, it did a good job – it served as a good palate cleanser!!!!!! Overall – Inspite of the numerous ‘misses’ described above, there was something about the food & about the place that makes me want to return to this place within a week’s time. Look forward to tasting the Tibetan, Bhutanese & more North Eastern cuisines & sharing the experience with u.